This one is rather plane, i think. I won't this scrumble again in other projects. This corner is one of my favorite parts. 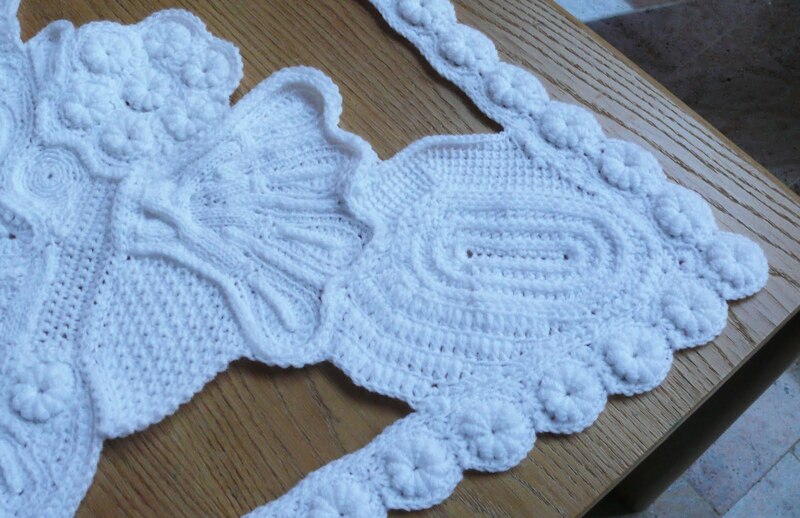 The combination of Irish cables in this shape works really well! I'm very pleased with it. 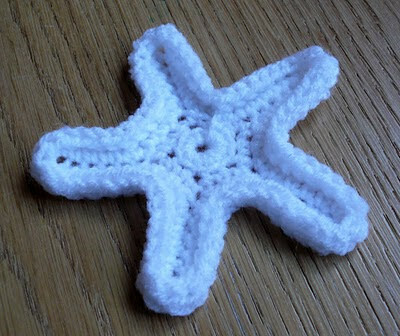 Reinventing the starfish in crochet. It has become a nice 2D form. 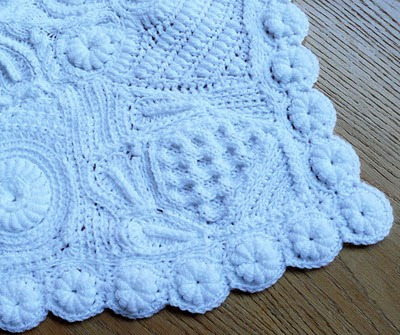 This is one of the most beautiful handmade things I've seen - and I've seen many during those almost 7 decades of my life. Absolutely stunning.